The new roaster is up and running. It's a Probatone 12 - the new version. We decided to get a new roaster mainly because the old, Probat L12, cannot roast and cool at the same time. You have to take the air flow either through the roasting drum or the cooling bin. With the new one, even though it's the same size, we can roast more in the same time. 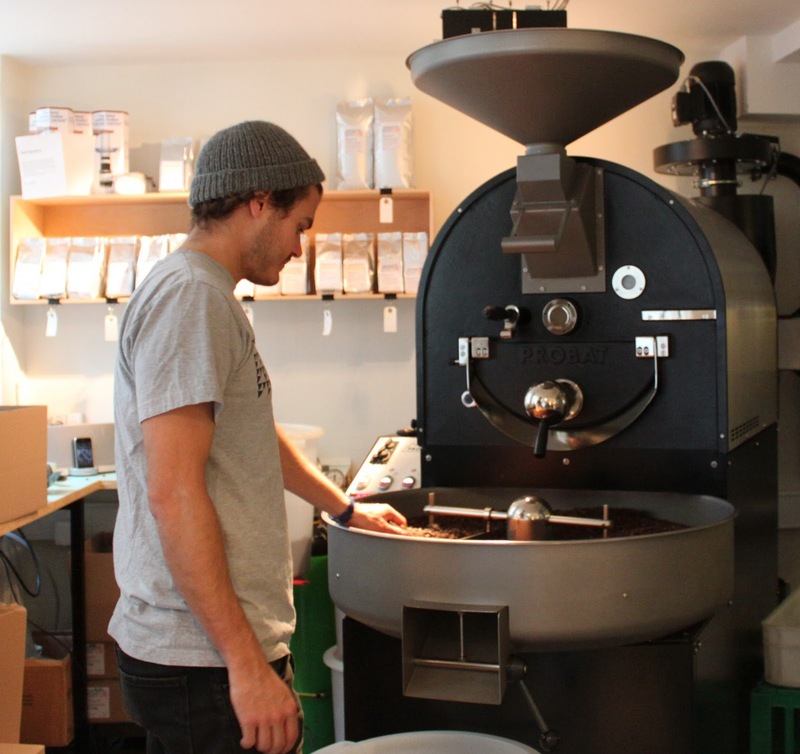 The new roaster also has a larger burner giving us more room to play with different roast profiles. There's also the opportunity to log roast electronically on a computer. Plus the cooling time is quicker. All in all it's a bunch of small improvements that together became significant enough that we thought now was a good time to change. 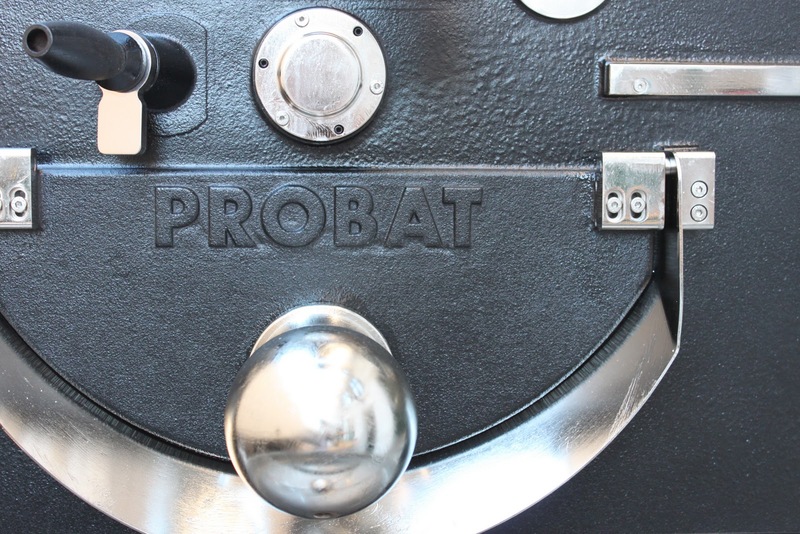 A few months back Peter tested 4 different roasters from Diedricht, Giesen and two from Probat. 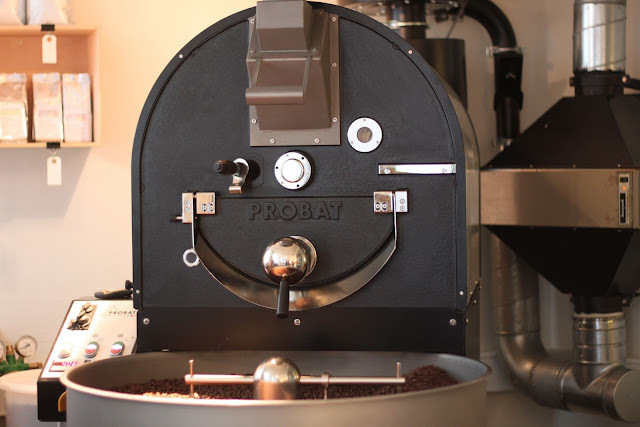 When we decided on this new Probatone, it's not to say the others weren't great roasters and for other roasteries and different styles of roasting those machines might be a better fit. But both in terms of taste (we blind cupped the roasts from the different roasters) and in terms of possibilities with roast profiles this was the right choice for us. We've been doing tests all week on it now and been cupping the results. Today's cupping showed great results and we already have managed to dial in to the same taste profiles that we had before. Now we can - as we always do - try to optimize the roast profiles even more and see what can be improved further. We still need to get the roast log software to work but that should also be a big help. Oh, and we also painted the whole shop and got some maintenance done while we were closed, so come on down to a sparkling clean coffee shop! why is the dude on the picture wearing a cap? is it cold in there? Simply, the roasting is a hard work. The machine is nice. Do you have any special air filters at the output? @Mike. Yes, it does often get a bit cold in there, as we need to have either the door or windows open to have proper airflow. @Antonio. Yes, we have a filter after the cyclone. It's an electrostatic filter. We're also looking into some more/other options. It's important as we're in a residential area. It is really important problem. Have you heard about the water sprinkle system used in Ambex roasters? I wonder what the relative cost is to obtain a roaster like that!